One of the best ways to increase the value of your property is home renovation. In fact, the only thing that motivates you for renovating your home is to know the fact that whatever you are spending will be paid back to you through the increase in equity that you are going to get in your home. It is not necessary that each of the renovation projects will give you the same increased equity or these will add value to your home. You have to decide which of the refurbishment projects can add life and value to your house. It is better that you must first try to have some knowledge regarding the market values and trends before getting into any kind of home renovation projects. This will let you know how to carefully invest your money without having any kind of fear of getting your money wasted. It will help you to earn the best possible return on the money that you have spent on you home. Following are some of the tips that you must follow in order to improve or boost up the property value of your house. If you are following these tips then you are definitely going to double the money that you have spent. Landscaping is something that can add life to your home. 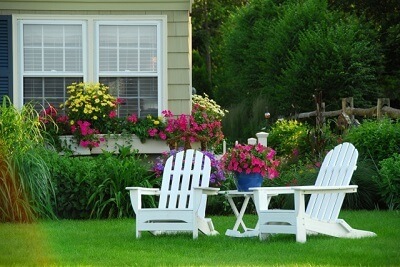 Gardening job is the easiest and cheapest way to improve and increase the resale value of your house. You can do this in your front yard or in your backyard. This is the way through which you can create an appealing impression over the mind of buyers. Home renovation also includes planting new plants, trimming the old ones and painting the fences are the few ways that can help you in your home improvement jobs. 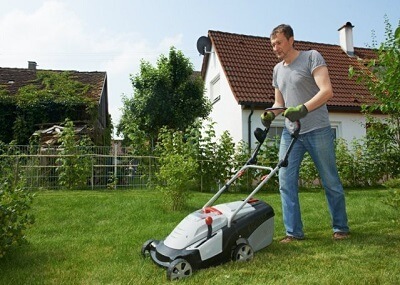 If you cannot handle the challenge on your own, you could hire professional gardening experts. These are not only the simple ways but are also the most effective ones. By improving the exterior of your home you can get more offers and can yield more. A safe and sound home is the other best thing that people do look for. While home refurbishment, you must try to improve the security conditions of your house. You must always try to replace your entrance doors with steel reinforced gates. It is really appealing for the buyers to find a safe and secure house. If your home is well renovated but is not secure enough then it will really not attract the potential buyers. In other words, it can be said that any home that is not secure enough will just loose its market value. During property refurbishment projects, it is often seen that minor improvements are overlooked. These minor improvements include changing of door knobs, light fixtures and faucets. If these are not well maintained then it will really affect the look of your property. Any potential buyer does keep a keen eye over such minor details. You must replace such things and keep each and everything similar will really add up beauty to your home. Kitchen and bathrooms are the parts of your house that needs much of your attention as these are the most used and the major portions of your house. It is suggested that you must spend the big part of your budget over such small repairs. If your kitchen and bathroom are well maintained then your property will look much more valuable.